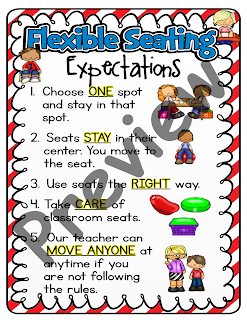 This past school I jumped on the flexible seating bandwagon. I'm not going to lie it was challenging for me to have students all over the place when they were working independently. 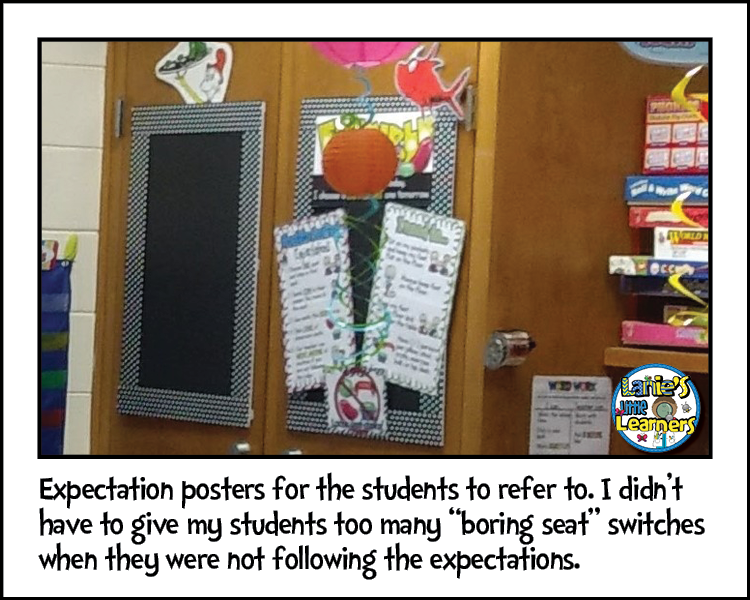 Yet, once I let go of the need to control and let the students have more choice, behavior issues were dramatically reduced from the previous year. 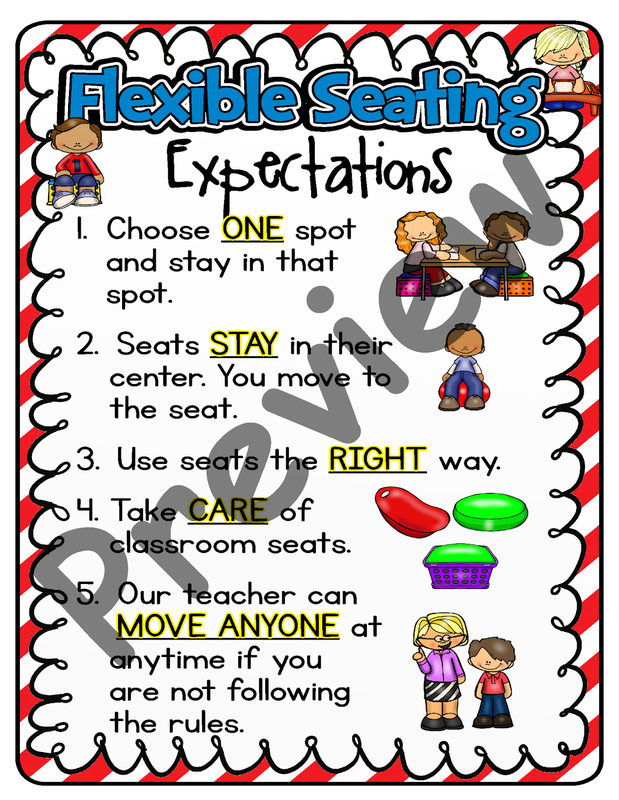 As a class, we decided on the rules and expectations for the flexible seating. 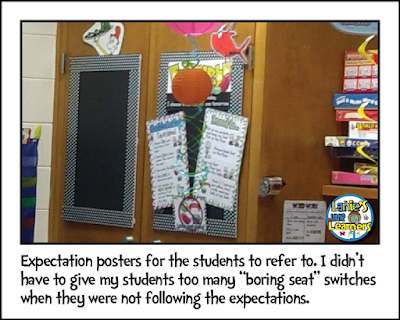 For the first month of school, the students did not get "free" choice of where they were going to sit. I rotated each group through the flexible seats demonstrating proper use. Then after the month was up, they were able to choose. 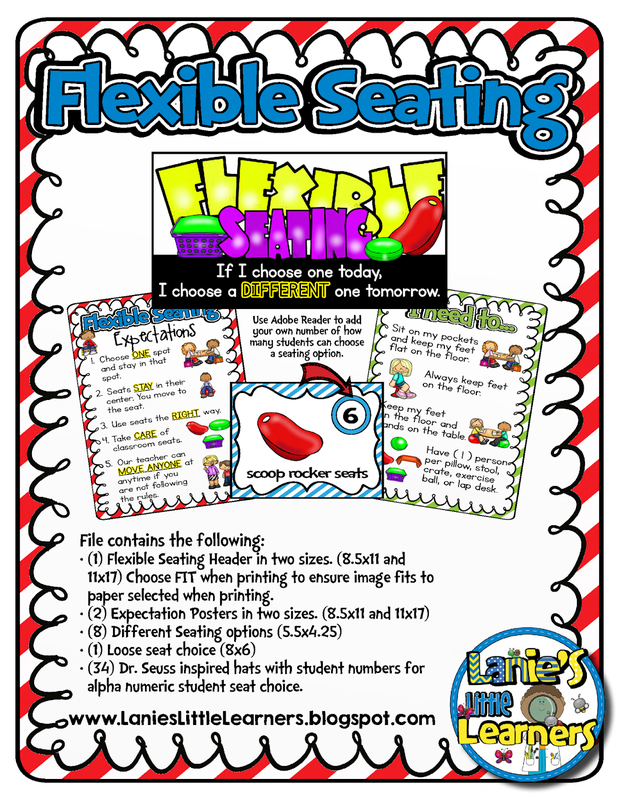 There are going to be some modifications made to my flexible seating arrangement for the 2018-2019 school year. I think instead of having flexible seating with their desk choice, I am going to use it strictly for independent small group work. I noticed last year some of my students could not handle floor pillows. They wanted to stretch out on the floor during whole group time. When I mean stretch out I mean full out on your tummy, sprawled eagle, no room for walking. Lesson learned! The second obstacle is they sat by their BFF which this year meant Chatty Kathy. 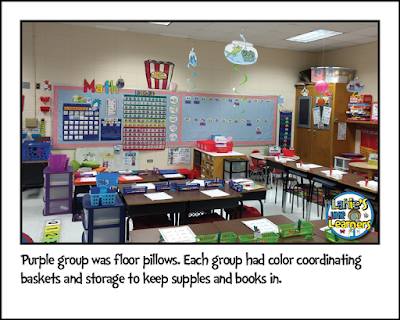 Even though I teach first grade my classroom is compartmentalized into learning centers. I have tables for each center such as math, word work, writing, a reading nook, and computer center. So... 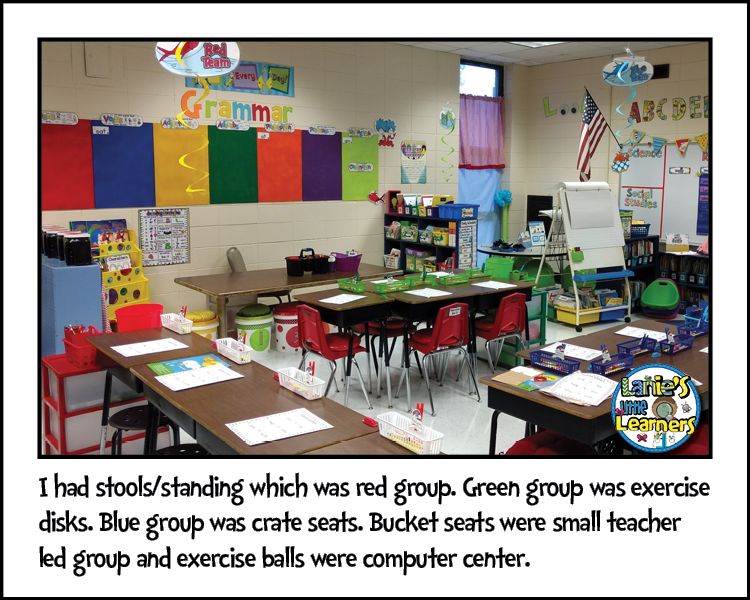 I am going to use the exercise ball, stools, crate seats, scoop rockers, exercise disks, and bucket seats in the learning centers. Then they can seat at their desk during whole group time which is approximately 2.5 hours of the entire day and it's not even clumped, but spread throughout the day. Bright primary colors compliment a color, circus, or Dr. Seuss themed classroom. Use Adobe Reader to add your own number of how many students can choose a seating option. Directions: I have included (2) different print sizes for you to use. Each poster will print one per page on the following paper sizes: 11 x 17 or 8.5 x 11. When printing, choose FIT to ensure image fit on the paper size selected. I printed the 11x17 size in color, trimmed, and then laminated for durability. (1) Loose Seat Choice (8x6)(34) Dr. Seuss inspired hats with student numbers for alphanumeric student seat choice.